Michael Trucano explores the growing international movement to promote coding (i.e. writing a set of step-by-step directions that instruct computers to do something) and to help students develop related skills. 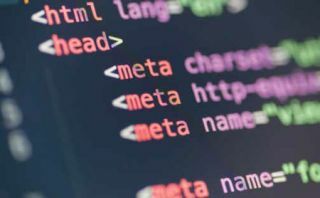 Many technology firms support this focus, and policymakers around the world are considering national coding education efforts. European Schoolnet’s recent report, “Computer Programming and Coding—Priorities, School Curricula, and Initiatives across Europe,” features results from a survey of European countries and their coding-related programs. The pedagogical questions that have emerged include how to design the learning processes and outcomes for coding, which activities and programming languages are most appropriate for different students, and the merits (and limits) of adopting a cross-curricular approach to teaching coding, including the implications for assessment. Teacher training and support is also a concern. Is coding “the new literacy”? Should all students learn how to code? It depends who you ask. Following are some of the most common arguments made both in support of, and against, educational coding initiatives. 1. Coding education will help students acquire vocational skills that are immediately relevant to today’s job market. Critics say that coding initiatives: focus on developing mechanical processes easily learned in other venues; are concerned with “job-relevant” skills of today, not tomorrow; are driven by the business sector; offer little pedagogical value (e.g., “coding” projects that teach students how to use basic office tools). Proponents counter that curricula can be improved and that private sector support doesn’t mean it’s a bad thing. Most educators would agree that, when taught well, coding can help develop logical thinking and problem-solving skills. Critics, however, argue that such skills should be embedded throughout an entire curriculum and should not be the focus of a single school subject. Because of the role computers play in our lives, it’s generally agreed that it’s important to understand how they function. Different groups disagree on the practical relevance of studying them, given many competing priorities. But because our choices are increasingly determined by algorithms, understanding what these algorithms enable, and how, is more and more important. If coding becomes part of the mandatory curriculum, though, what will it replace? In some places students can take coding courses to meet foreign language or math requirements—is this a good thing? 4. Teaching students to code can serve as a gateway to subsequent study of STEM topics—and hopefully to jobs and careers in related fields. Critics may ask if coding really is the best gateway to boost general interest in STEM. In fact, if coding isn’t taught well, might it dissuade some students from further study of STEM topics? And is coding education in schools indeed a gateway to coding, or is it sometimes just “edutainment,” something to do with all the computers schools have purchased? 5. Introducing coding in schools can be a force for greater equity and equality of opportunity. It’s clear that the tech industry suffers from a lack of diversity. But critics might counter that, while coding education might provide some opportunities and chip away at some stereotypes, the situation is complex and much more needs to be done. If schools have coding initiatives, some leaders will declare that the diversity challenge is being “solved.” These critics would say that supporting Girls Who Code and other programs is a good start, but it isn’t “solving” the problem. 6. Being able to code enables new avenues for creativity and creative expression. Proponents cite efforts to teach coding skills to very young students or as part of robotics or “maker” courses as compelling examples of coding education. But critics might argue that, even if you concede that coding is a new literacy, it’s worth making sure the old, basic literacy skills of reading, writing, and arithmetic are in place before adding new ones to our already bloated curricula.